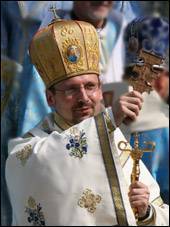 His Beautitude our Patriarch Sviatoslav has invited the faithful of the Ukrainian Catholic Church to make a pilgrimage to Kyiv in 2013 to celebrate the 1025th Anniversary of the baptism of Kyivan-Rus, Ukraine. 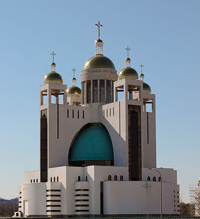 The major celebration will be a special Divine Liturgy on Sunday, August 18 at the Holy Resurrection Sobor in Kyiv. Join Metropolitan Lawrence Huculak (Winnipeg), Bishop Stephen Chmilar (Toronto), Bishop David Motiuk (Edmonton), Bishop Ken Nowakowski (New Westminster), and Bishop Bryan Bayda (Saskatoon) on an official pilgrimage from August 7-20. Discover the unique cultures and picturesque landscapes of Central Europe on an inspiring journey through Croatia and Slovenia. 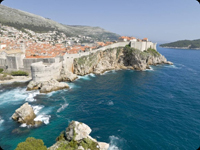 The Dalmatian coast is emerging as one of Europe’s hottest destinations, and this tour will take you to the best parts of it. Discover the deep history and sacred sights of the Middle East on Globus' vacations to this fascinating area. Highlights are a stay at a kibbutz, where you will hear about life on a kibbutz during a lecture, a cruise on the Sea of Galilee, the visit to the Church of the Annunciation, and more. 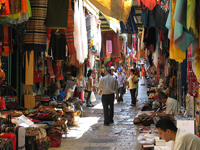 Four nights in Jerusalem include visits to Yad Vashem, the Israel Musseum, the Church of Nativity in Bethlehem, a guided walking tour along via Dolorosa, the Wailing Wall, King David’s tomb, and much more. Also ride a cable car to visit the cliff-top fortress of Masada and enjoy a farewell dinner—an unforgettable vacation! Tour dates are October 7-15, 2013 and October 14-22, 2013. Click here to see the itinerary! 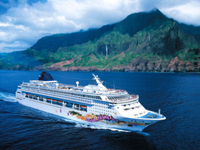 Sail through the breathtaking scenery of the Hawaiian Islands on this magical vacation. The highlight of your trip is a 7-night cruise around the Hawaiian Islands aboard Norwegian Cruise Line’s Pride of America. On this cruise, you’ll have the opportunity to participate in many activities, or you can do absolutely nothing at all!